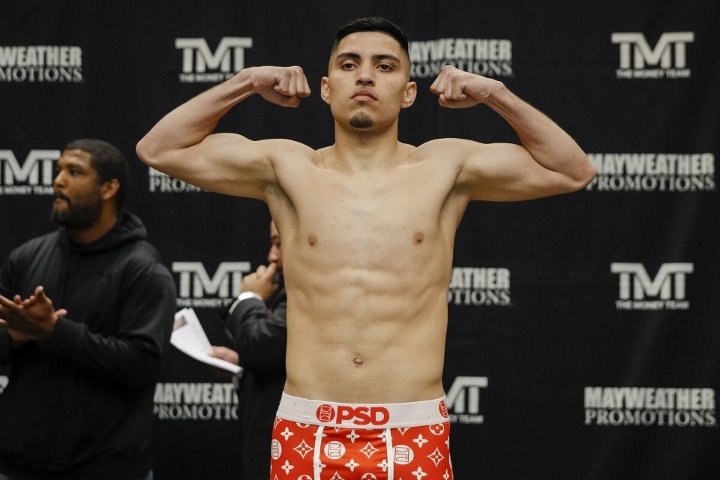 Sam’s Town Casino, Las Vegas, Nevada – Super featherweight prospect Andres Cortes (10-0) kicked off the ShoBox telecast with a bang by dominating Jahmal Dyer (9-1) over 8 rounds. The finals scores were 78-73, 79-73 and 78-74. The Las Vegas resident told BoxingScene.com prior to the fight that he planned on winning by knockout and while he didn’t get the stoppage he predicted, he dominated the fight outside of the 4th round. After a couple feeling out rounds Cortes and Dyer exchanged big punches in the third round. Cortes was being the aggressor and landed a series of power shots as he backed Dyer into the the ropes to end the round. Cortes rushed Dyer, sensing he was still hurt to begin the 4th round. Cortes was picking Dyer apart until Dyer lander a perfect counter right that sent Cortes to the canvas. However Cortes came back strong and almost floored Dyer as the bell sounded to end the round. The Las Vegas native continued to dominate the 5th and 6th rounds. Dyer tried to fight back but didn’t have any juice on his punches as he fought on unstable legs. The 7th round was more of the same as Dyer stayed in defense mode to try to avoid the aggressive Cortes punches. Cortes tried to close the show in the final round but Dyer was able to make it to the final bell. Joshua To Miller: I’m Paying Your Mother’s Rent, You Drug Abuser!